This is a novel about Sir Thomas Lawrence but, as the sub-title suggests, it is much more than a biography of the 18th/ 19th century portrait painter who was only six when he started impressing patrons at his father’s Black Bear Inn by sketching their pictures. The story is full of engaging characters and is told with humour and insight into the world of Regency Bath and London in the years from the American and French Revolutions, through the Napoleonic Wars and the accession of George IV to the coming of the railway, but it touches also on some of the political events and personalities of the era. All sorts of people stopped at the Black Bear on their way from London to Bath, among them actors including David Garrick and, perhaps, the young Sarah Siddons, as yet unknown but on her way to becoming the leading tragedienne of the period. Did he draw her likeness then? Did she recognise in the boy and herself potentials for greatness? Was that the beginning of the long and tempestuous relationship between the renowned artist and the Siddons family? Using extensive research into letters, newspapers and comment of the time, I explored the influence his father and many close friends exerted on Lawrence’s career as it developed from West country sketcher to portraitist of Kings and Queens, Popes and Emperors, Prime Ministers, distinguished ladies, diplomats and sportsmen. I singled out some of his subjects for their particularly intriguing stories. 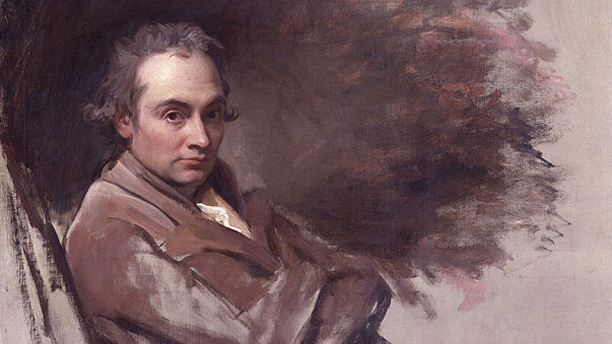 Among those are the beautiful but confused Mr Bell, the unprepossessing but clever Irish politician, Mr Curran, the irascible artist, Henry Fuseli, neither rival nor admirer. Children and their pets were particular favourites as of course were members of the Siddons/ Kemble family. 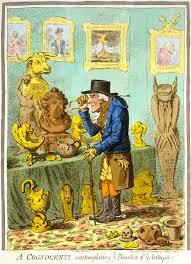 Every year from 1789 when he was twenty, his work was to be seen at the Royal Academy Exhibition. 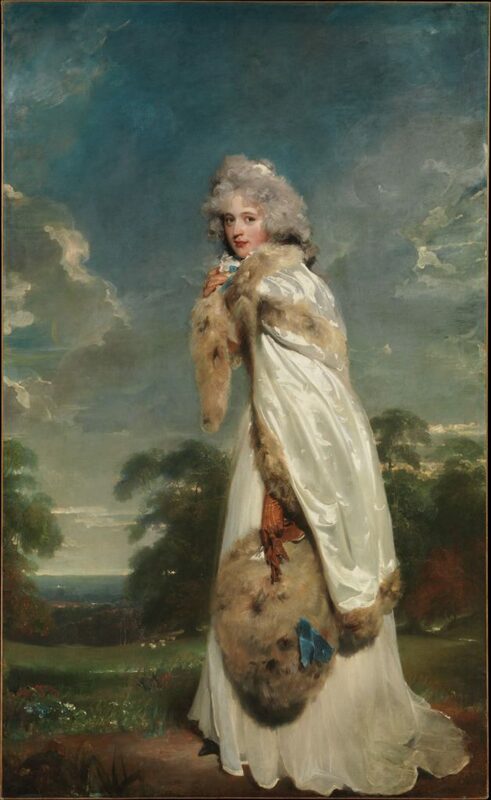 His best known studies though not always his best liked were ‘Pinky’, a wintry portrait of Miss Elizabeth Farren and the gigantic ‘Satan’ in which he blended the most imposing features of two friends: the handsome head of actor John Philip Kemble and the powerful body of champion boxer ‘Gentleman’ John Jackson. The distinguished career was not without its problems. 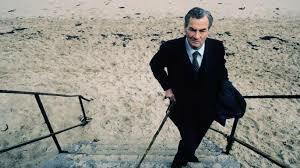 Despite his huge output and ever-increasing income, he was never out of debt and yet he was known to be far from profligate in his personal life. His family, which he supported, not unwillingly, for most of his life, was a financial burden; he spent, often unwisely, on works of art and the latest domestic innovations like a plumbed (but cold water) bath. His friends and advisers, Joseph Farington and John Julius Angerstein helped him organize his budget and kept him out of the bankruptcy court. 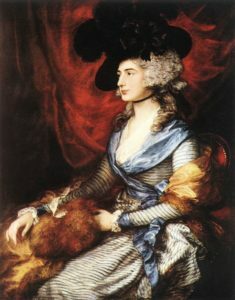 And throughout his life at all its stages, Sarah Siddons, her actor brothers Kemble, her husband-manager William who disliked and disapproved of Thomas, and above all her two daughters, sweet Sally and selfish Maria, contenders for his love in their different ways. An intense, difficult triangle that drove him to the brink of madness—or was it a quadrangle? Lawrence was to live out his life as a bachelor, his name, probably but not certainly, platonically linked with several women. His friendship with Sarah Siddons diminished but endured till his death at the age of 60 in 1830. Note: A Coloured Canvas is available on both Google Books and Amazon. Corille was born in Scotland, lives in Australia and has a background in theatre and radio. You can visit her website here. A potted history, to be sure, and a fuller bio can be found on Wikipedia. 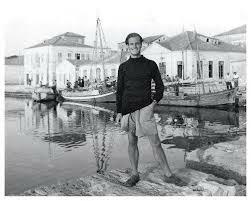 A respected British author and travel writer, PLF also felt a pull to Greece, where he travelled extensively and eventually built a house along with his wife, Joan. But it’s PLF’s circle of friends, also his correspondents, that make this book so interesting. Here again we meet Duff and Diana Cooper, the Devonshires, Andrew and Debo, Evelyn Waugh, Ann Fleming, Cyril Connolly, Lawrence Durrell and a host of others who seemingly all lived out sized lives and who are all people with whom one would have loved to share the odd shaker of martinis. The one slight quibble I had with this book is that it only contains PLF’s letters to people, and none from them, but this can hardly be seen as a flaw when the writing is this good. 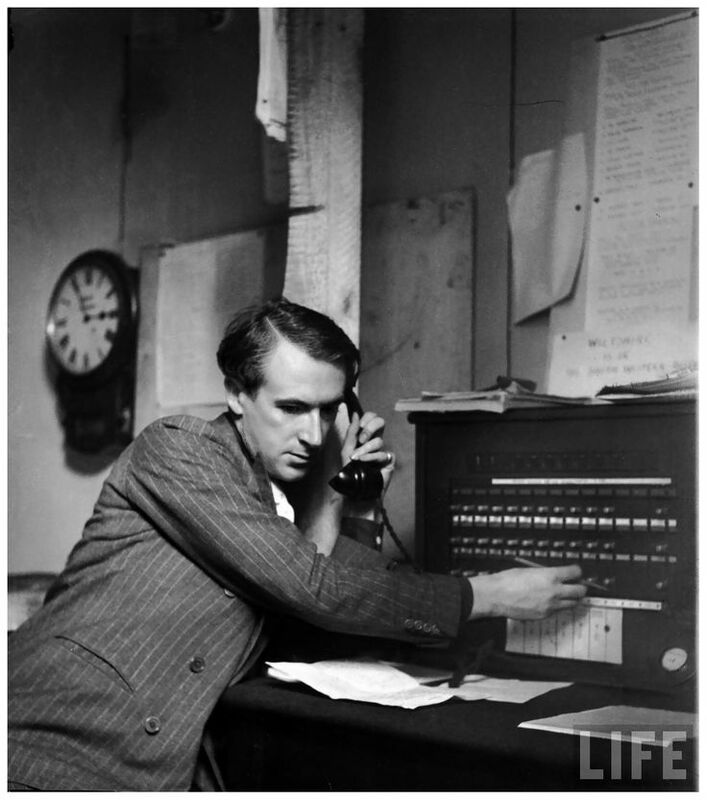 PLF was a writer with projects constantly on the go, but he was easily distracted by passing fancies, often missing deadlines and being forced to write the dreaded mia culpa letter to editors or friends to which he’d promised pieces. 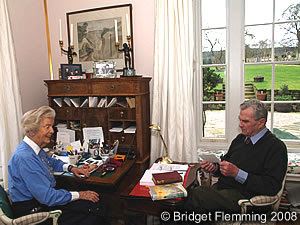 In a letter to Lady Diana Cooper in November of 1975, PLF confesses: “Michael Stewart has sent us the Oxford Dictionary of English Place Names, which I’ve been deeply immersed in for the last two days: all their derivations, etc.” And to her son, John Julius Norwich, PLF writes: “Last year Jock Murray suddenly told me that about two hundred pounds had mounted up (in royalties) so I blew the lot on the DNB (Dictionary of National Biography) . . . so give me a few minutes notice and I can be pretty knowing about almost anyone in England – before 1900 – up to William Tytler (1711-1792) . 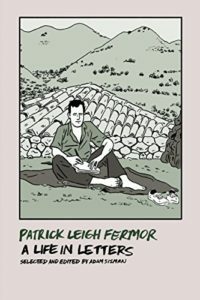 . . it would be hard to find a more fascinating and time-wasting acquisition.” Both examples could be me to a T.
A Life In Letters is a delight, some parts reading like a travel book, other parts a glimpse into a vanished lifestyle, all of which is bound up with great friendships, anecdotal offerings and humour. into a drawing to win a copy of this book! 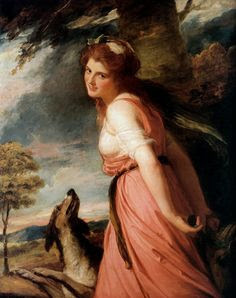 Judith Anne Dorothea Blunt-Lytton, whose mother had been Byron’s granddaughter. 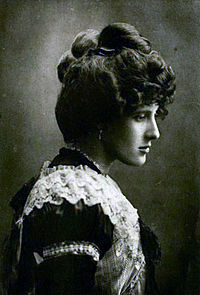 Daphne Fielding, formerly Marchioness of Bath. 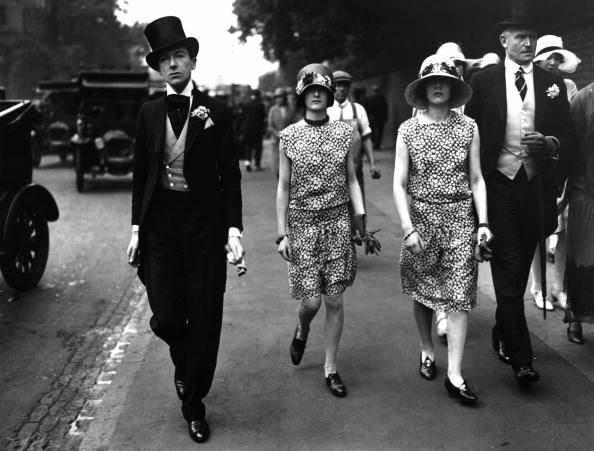 Cecil Beaton (at left) arrives at an Eton/Harrow cricket match with his sisters, Nancy and Barbara (Baba), 1927. 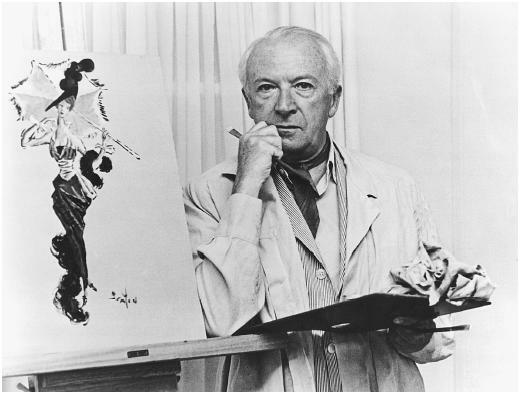 In my continuing quest to broaden my knowledge of those people who lived during Britain’s between wars years, I recently read Self Portrait With Friends: The Selected Diaries of Cecil Beaton 1922 – 1974, edited by Richard Buckle. 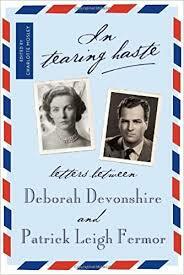 Beaton was one of the constants in many of the other period diaries and letters I had read, and no wonder. He had a ringside seat to much that happened in Britain from the 1920s right through to his death in 1980. 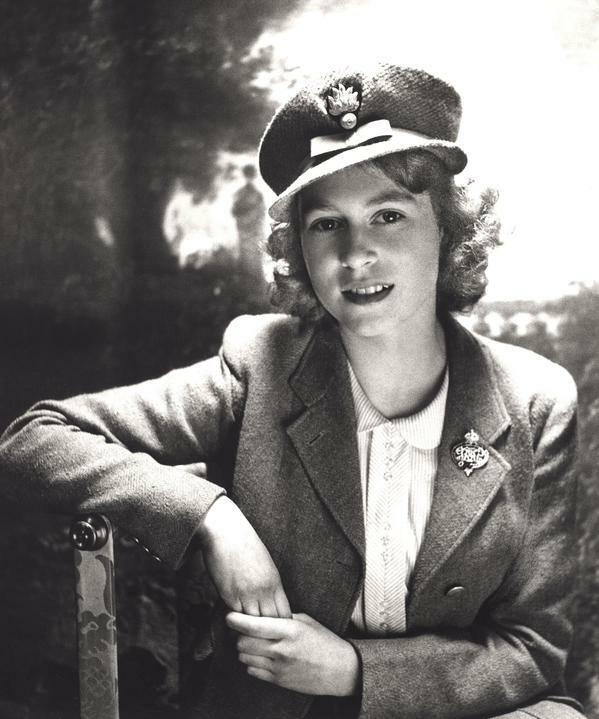 Beaton was the photographer of the day, any day, working with both Vogue and Vanity Fair magazines for decades, as well as for the Ministry of War during WWII. 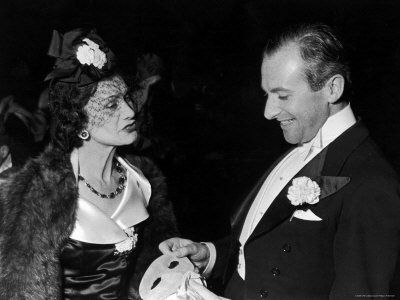 In addition, he was the official Royal photographer for decades, which of course likewise made him the photographer of choice for socialites, actors and aristocrats, many of whom became Beaton’s friends. Last year, I was fortunate enough to see the retrospective exhibition, Never A Bore: Deborah Devonshire and Her Set by Cecil Beaton at Chatsworth House. 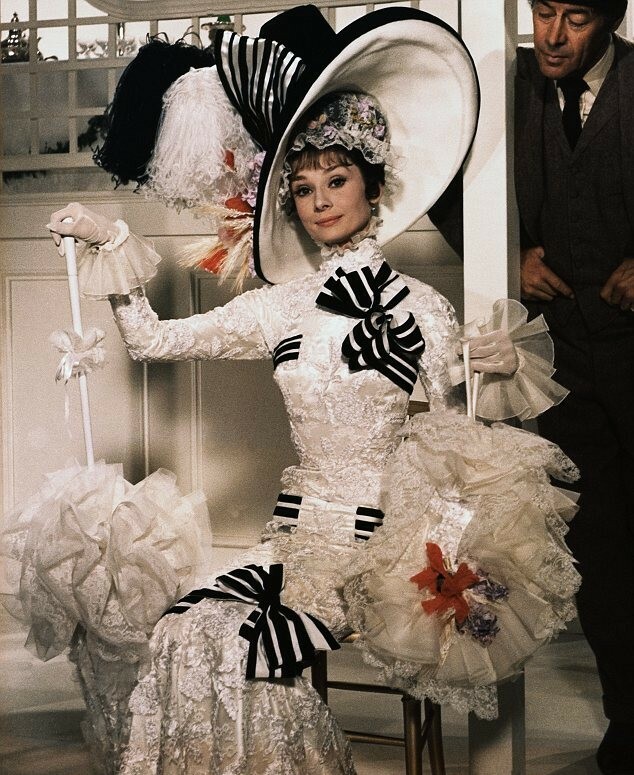 Before long, Beaton’s drawing talents and his innate sense of style and taste brought him work as both a set and costume designer for ballet productions, stage plays and films, earning him Tony Awards and Academy Awards for Best Costume Design and Best Art Direction for both GiGi and My Fair Lady. 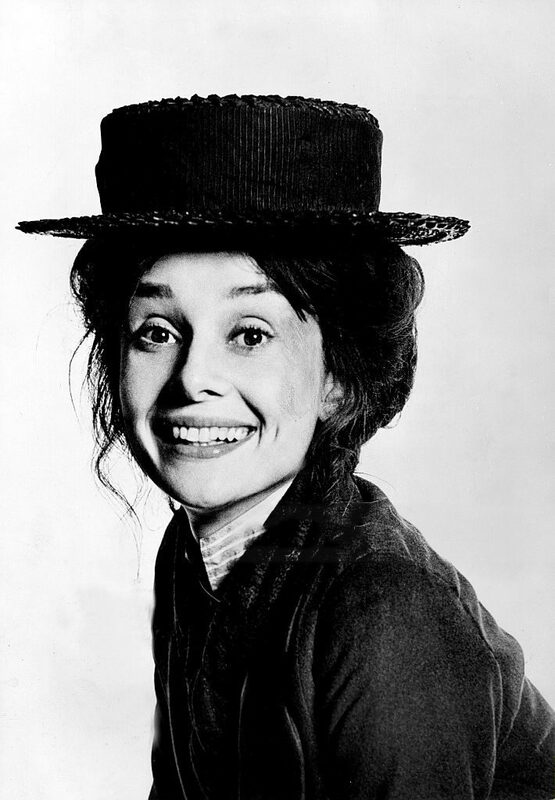 Audrey Hepburn photographed by Cecil Beaton for My Fair Lady, 1963. 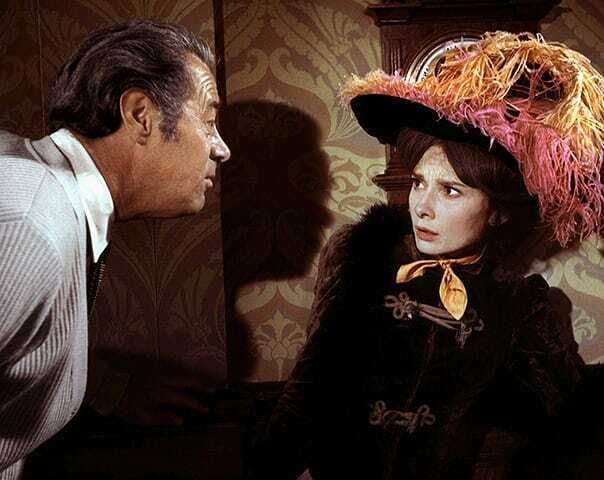 Audrey Hepburn and Rex Harrison photographed on set by Cecil Beaton for My Fair Lady, 1963. 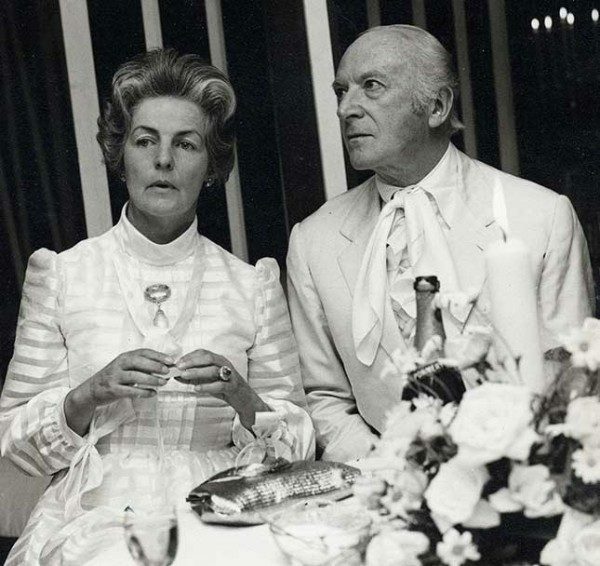 Beaton’s diaries were published in several volumes during his lifetime, and Self Portrait With Friends: The Selected Diaries of Cecil Beaton 1922 – 1974 is a selection of entries from all volumes, a taster of the Beaton diaries, if you will, some examples of which you’ll find below. It was a satisfying introduction to the diaries, which I plan to go on to read. “Though nothing about Mrs. Simpson appears in the English papers, her name seems never to be off people’s lips. For those who enjoy gossip she is a particular treat. The sound of her name implies secrecy, royalty, and being in the know. As a topic she has become a mania, so much so that her name is banned in many houses to allow breathing space for other topics. . . five years ago I met Mrs. Simpson in a box with some Americans at The Three Arts Club Ball . . . Mrs. Simpson seemed somewhat brawny and raw-boned in her sapphire-blue velvet. Her voice had a high nasal twang. . . About a year ago, I had an opportunity to renew acquaintance with Mrs. Simpson. I liked her immensely. I found her bright and witty, improved in looks and chic. 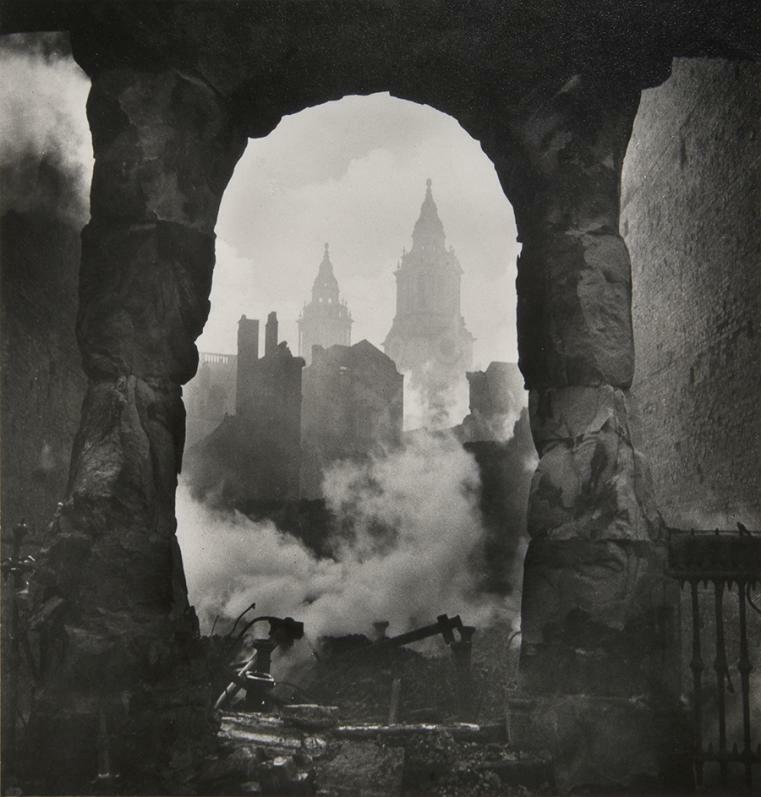 “The city was still in flames after last night’s raid when eight Wren churches and the Guildhall were destroyed . . . In the biting cold with icy winds beating around the corners, James P.H. and I ran about the glowing smouldering mounds of rubble where once were the printers’ shops and chop houses of Paternoster Row . . . We went to St. Paul’s to offer our prayers for its miraculous preservation. Near the cathedral is a shop that has been burned unrecognizably; in fact, all that remains is a arch that looks like a vista in the ruins of Rome. Beaton being photographed while photographing Lady Diana Cooper at her house in Bognor, 1940. 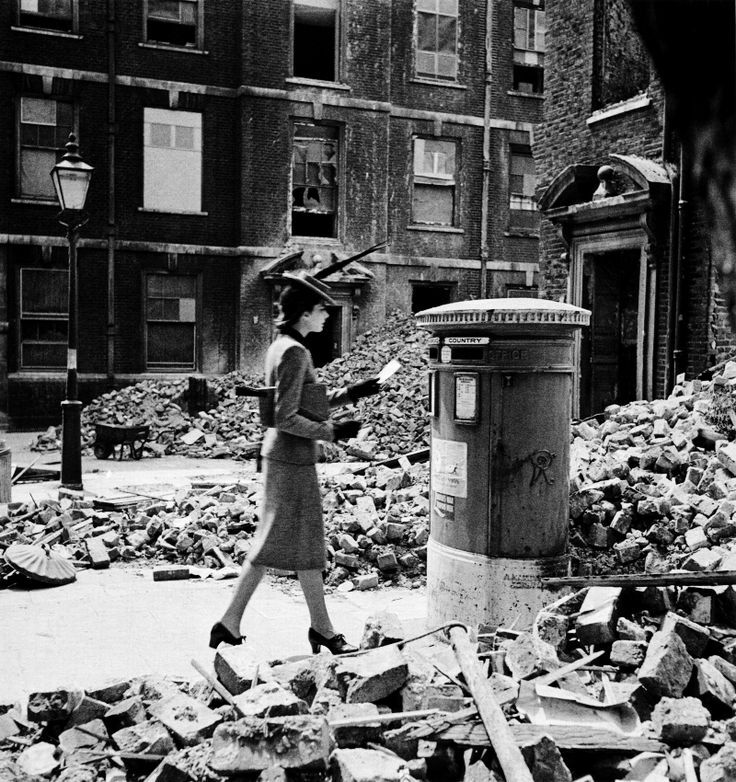 “The flying bombs and those beastly V2s, exploding from out of nowhere, have created new havoc in London since I left for the Far East nearly a year ago. 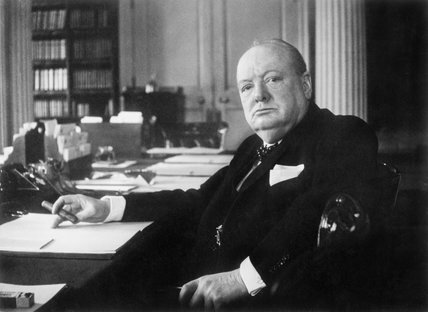 . . War in England is more total than ever, hardships always increasing. People look terribly tired and tend to be touchy and quarrelsome about small things. 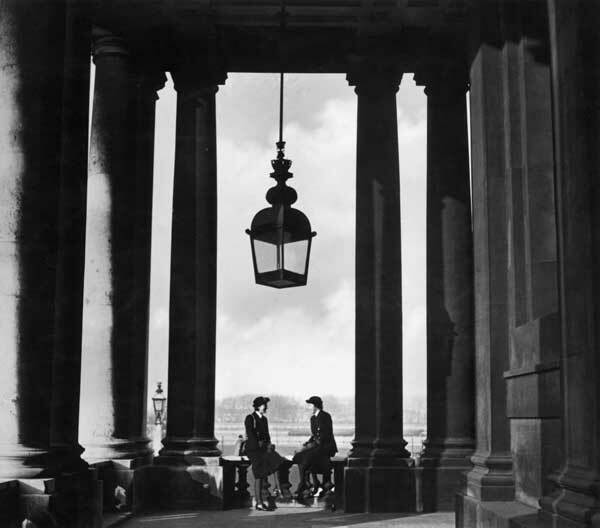 “Yet, in spite of all the horror and squalor, London has added beauty. In its unaccustomed isolation above the wastes of rubble, St. Paul’s is seen standing to supreme advantage, particularly splendid at full moon. The moon in the blackout, with no other light but the stars to vie with, makes an eighteenth-century engraving of our streets. St. James’s Park, without its Victorian iron railings, has become positively sylvan. “So Evelyn Waugh is in his coffin. Died of snobbery. Did not wish to be considered a man of letters, it did not satisfy him to be thought a master of English prose. He wanted to be a duke, and that he could never be; hence a life of disappointment and sham. For he would never give up. He would drink brandy and port and keep a full cellar. 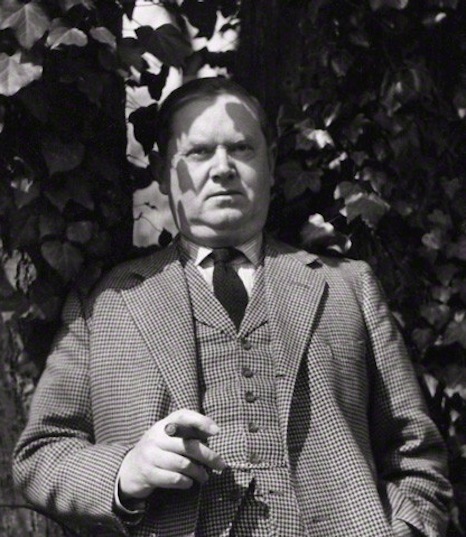 He was not a gourmet, like Cyril Connolly, but insisted on good living and cigars as being typical of the aristocratic way of life. He became pompous at twenty and developed his pomposity to the point of having a huge stomach and an ear trumpet at forty-five. 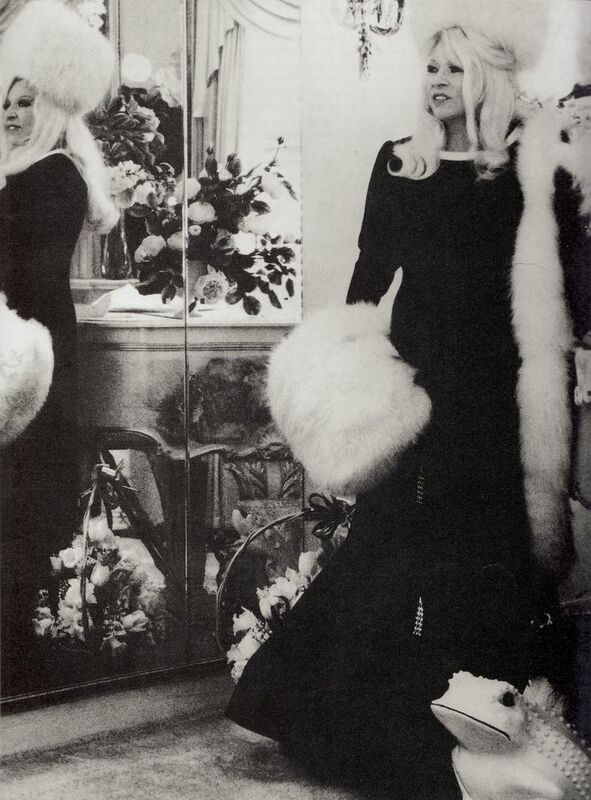 “On arrival in Hollywood at the huge 1920s cement apartment block which Mae West owns, I was surprised to find how small her personal quarters are. 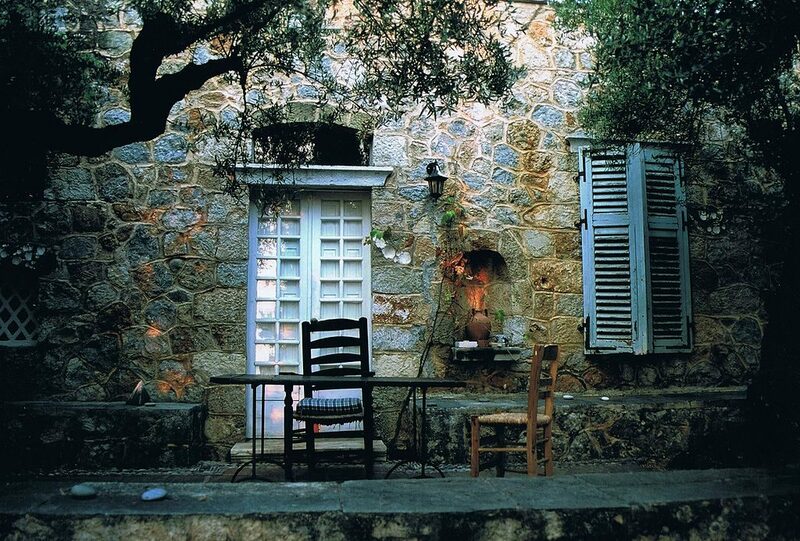 To begin with I was fascinated; white carpets, pale yellow walls, white pseudo-French furniture with gold paint, a bower of white flowers, huge ‘set’ pieces of dogwood, begonias, roses and stocks – all false. 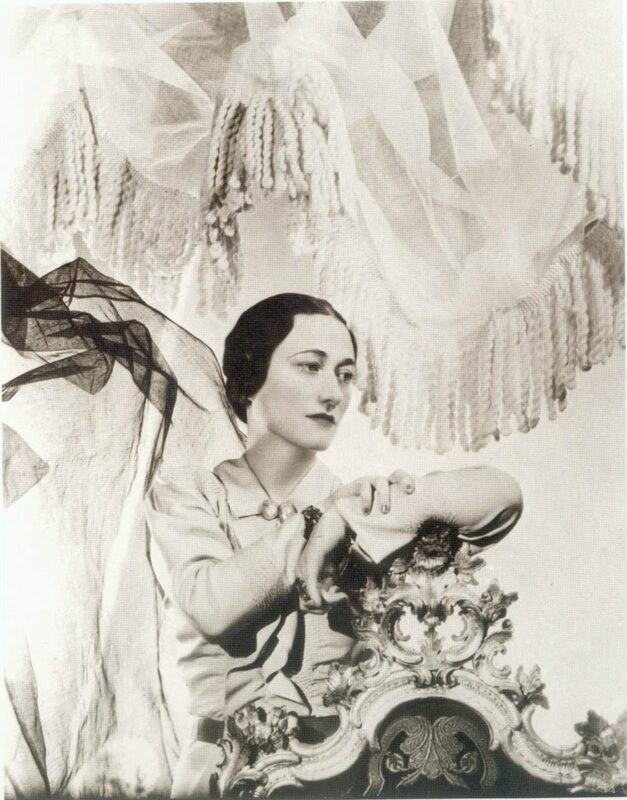 “Went to the house in the beautiful Bois de Boulogne to have tea with the Duchess of Windsor. On arrival in this rather sprawling, pretentious house full of good and bad, the Duchess appeared at the end of a garden vista, in a crowd of yapping pug dogs. She sees to have suddenly aged, to have become a little old woman. Her figure and legs are as trim as ever, and she is as energetic as she always was, putting servants and things to rights. But Wallis had the sad, haunted eyes of the ill. In hospital they had found she had something wrong with her liver and that condition made her very depressed. When she got up to fetch something, she said, ‘Don’t look at me. I haven’t even had the coiffeur come out to do my hair,’ and her hair did appear somewhat straggly. This again gave her a rather pathetic look . . . . .
Chanel is dead. One can no longer take for granted the feeling that she and her talent are always with us. She was unlike anything seen before. She was no beauty, but her appearance in the twenties and thirties was unimaginably attractive. She put all other women in the shade. 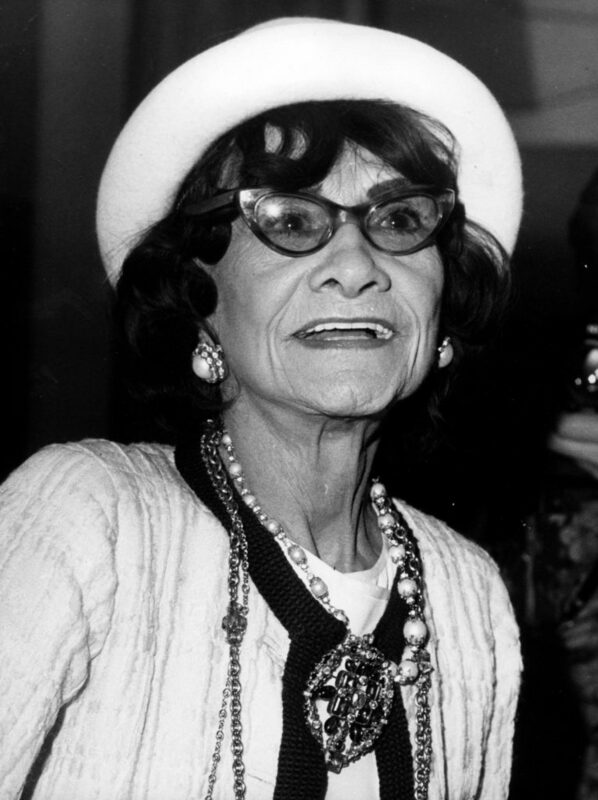 Even in old age, ravaged and creased as she was, she still kept her line, and was able to put on the allure. This sumptuous accompaniment – replete with gorgeous full-color and some black and white images — to the exhibition currently showing at The National Maritime Museum in Greenwich (until April 17th) comprises essays by Quintin Colville; Vic Gatrell; Christine Riding; Jason M. Kelly; Gillian Russell; Margarette Lincoln; Hannah Greig; and Kate Williams on different aspects of the controversial Emma Hamilton’s life, legend, and times. I’ve been to two previous art shows that featured Emma Hamilton and other Georgian celebrities: Joshua Reynolds And The Creation of Celebrity (at the Tate Britain in 2005), and the George Romney exhibit at the National Portrait Gallery in 2002. Both were exemplary, dedicated to these superb portraitists and their famous subjects. These sitters became instant celebrities owing to the prints of the portraits becoming widely disseminated. (These prints generated a bit of nice income for the painters, as well.) 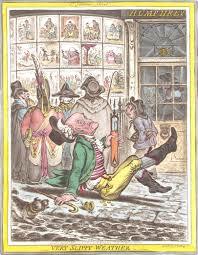 The caricaturist Gillray illustrated the popularity of these prints in his well-known “Very Slippy Weather,”showing Londoners entranced by the latest prints for sale at stationers’ shops. For starters, she was an unqualified beauty: a perfect oval of a face; thick, wavy, cascading auburn tresses; big-eyed; a rosebud mouth; and a complexion described by one besotted writer as a “velvet skin of lilies and roses”. Surprisingly tall, with good, square shoulders and a substantial bosom, she defied the “pocket Venus” model prized by prevailing18th century aesthetic standards. A killer combination, this, that pouting baby face and a curvy, womanly figure. Who would not want to paint her? More to the point, who would not want to be her lover? I myself have researched and written about Romney’s obsession with Emma, whom he painted at least sixty times and sketched many more times. At his death, notebooks were found filled with drawings – many unfinished — of his muse Emma Hart – as she was then known. Romney was a strange old cuss. Extremely talented – he became one of the most renowned portraitists in England – but he was prone to serious bouts of depression (it apparently ran in his family). He was a very moody man. Emma Hart enriched his life, and when she was gone from it, he went even more downhill mentally. The only quibble I have with the uniformly excellent essays making up this book is in the Christine Riding piece. 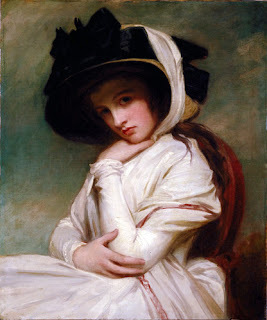 Emma Hart sat for George Romney some nine years. Nowhere in all the background reading and research I did for my guest blog for Number One London did I find any evidence that there was anyone else in that studio save Romney and Emma. I never saw mention of a “chaperone” nor of any friends/acquaintances of Greville or Emma dropping in. And this is telling, because sittings for artists were social occasions; observers sat and gossiped and were served tea, etc. This was the norm. One sitting could take up to an hour; these sittings were longer. Again, never, ever, did I find any of this normal way of conducting sittings followed by Romney with Emma. Greville, to my knowledge, simply would not allow this. Emma Hart as Circe, painted by George Romney c1782… Exquisite! 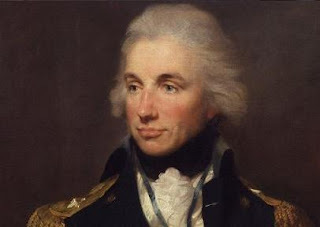 n she was walking the London streets and/or working in a brothel – met Lord Nelson, the famed British admiral and hero of Trafalgar, and Lord Hamilton – bless his heart – was toast. The details can be found in the essays, but a last word about Emma’s child(ren) with Nelson is perhaps appropriate here. She had Horatia, who lived to a ripe old age, the wife of a minister and the mother of a slew of children, whose maternity Emma never acknowledged publicly, and possibly one or two other children, one of whom was said to have died very young or at birth. One or two sources I read in my research implied that there were twin girls, one of whom was sent to an orphanage, the other having died or disappeared. Sadly, it did not appear that Emma was much of a mother (though some sources said she was close to Emma Carew, her first daughter), but there is not much to go on to substantiate what happened to these later, mysterious twins…if they indeed ever existed at all, poor lost babes. This is quite a wonderful compilation with superb illustrations, fast reading, and an excellent introduction to the life and loves of a singular woman. 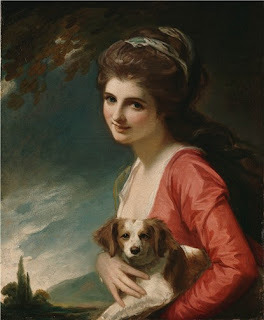 Enjoy the reading and perhaps shed a tear or two for Emma Hamilton’s last tawdry years. So many women like her wound up in France, dying there, forgotten. (My biography subject died there, as did the actress mistress of King William IV, Dorothy Jordan, along with other discarded women.) Nelson wanted Emma taken care of by the country he’d served so well; well, she wasn’t. And, if you can, visit the exhibit at the National Maritime Museum in Greenwich, London before it closes. As you can tell from the few sample images here, it is a feast for the eyes. 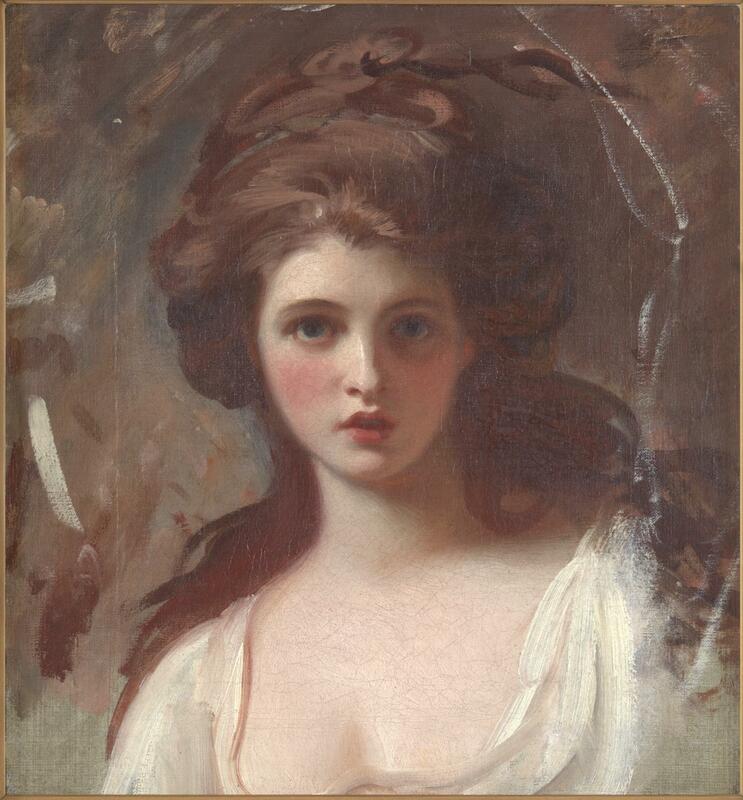 Quinton Colville’s introductory essay, “Re-imagining Emma Hamilton,” gives an excellent overview of the mythology and reality surrounding this woman; he is the Curator of Naval History at the National Maritime Museum in London. There are six full and informative articles in this companion to the exhibition at the National Maritime Museum, starting with historian Vic Gattrell, who teaches at Gonville & Caius College, Cambridge; his essay is “Sexual Exploitation And The Lure Of London,” a subject on which he has written extensively. Christine Riding holds the position of Head of Arts and Curator of the Queen’s House at the National Maritime Museum; she was previously at the Tate Britain, where she curated 18th and 19thcentury British art; her essay is “Romney’s Muse: A Creative Partnership In Portraiture”. Jason M. Kelly takes us to the middle part of Emma Hamilton’s career, to Naples, where, as the wife of the British ambassador, she moves in very different circles and we take a look at “A Classical Education: Naples And The Heart of European Culture.” Kelly is an associate professor at Indiana University-Purdue and directs the Arts and Humanities Institute there. 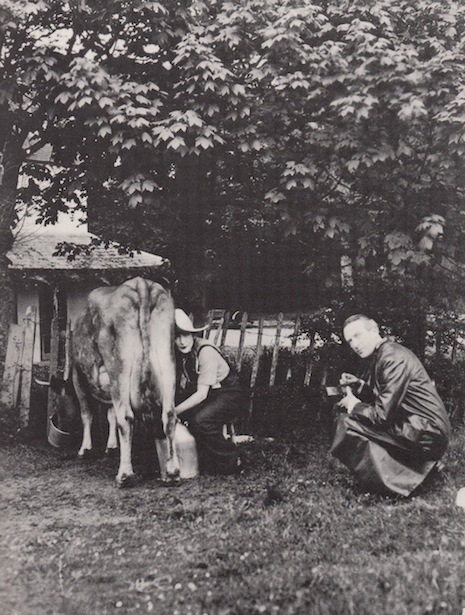 Gillian Russell penned “International Celebrity: An Artist On Her Own Terms”; Russell writes on fashionable women and on theatre in Georgian London. Rounding out these essays are Margarette Lincoln (“Emma And Nelson: Icon And Mistress Of The Nation’s Hero” and Hannah Grieg on Emma’s last sad years with “Decline And Fall: Social Insecurity And Financial Ruin.” ) Lincoln is a specialist in English naval history and served as Deputy Director of the National Maritime Museum for several years; she is now a visiting professor at the University of London. Grieg is an academic who is now at the University of York, lecturing on 18thcentury British social, cultural, and political history; much of her research centers on the lives of the elite class in that society. 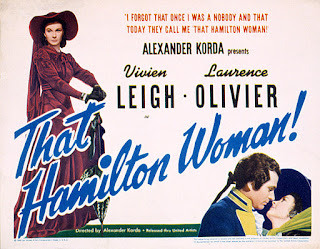 A special treat at the end of this fascinating book is biographer Kate Williams’ take on “Emma Hamilton In Fiction And Film.” Williams is a professor of history at the University of Reading and author of England’s Mistress. 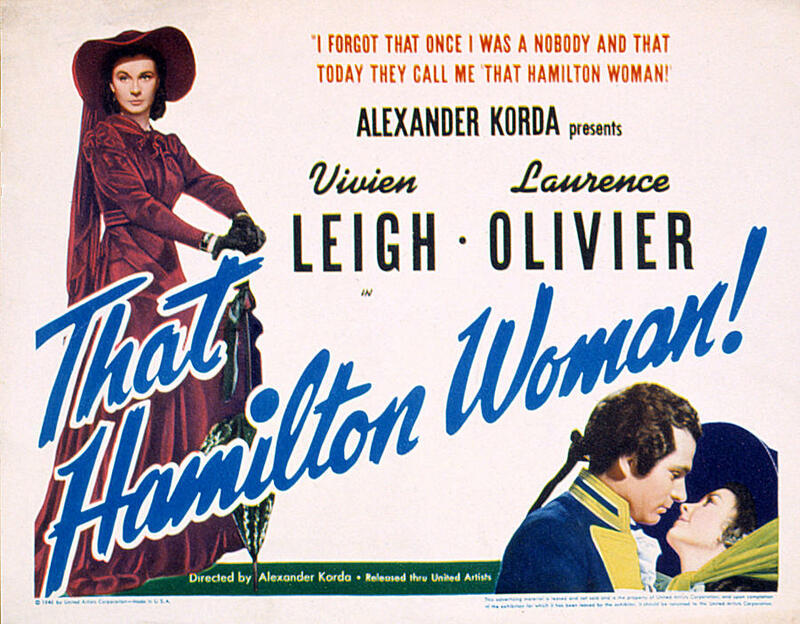 Poster for Vivien Leigh/Laurence Oliver biopic That Hamilton Woman! 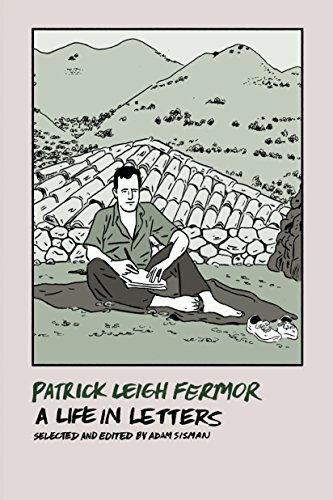 From Amazon Books: In the spring of 1956, Deborah, Duchess of Devonshire, youngest of the six legendary Mitford sisters, invited the writer and war hero Patrick Leigh Fermor to visit Lismore Castle, the Devonshires’ house in Ireland. The halcyon visit sparked a deep friendship and a lifelong exchange of highly entertaining correspondence. 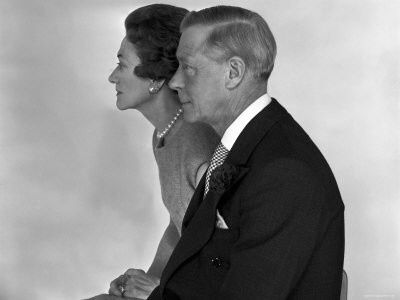 When something caught their interest and they knew the other would be amused, they sent off a letter—there are glimpses of President Kennedy’s inauguration, weekends at Sandringham, filming with Errol Flynn, the wedding of Prince Charles and Camilla Parker-Bowles, and, above all, life at Chatsworth, the great house that Debo spent much of her life restoring, and of Paddy in the house that he and his wife designed and built on the southernmost peninsula of Greece. No news, except bumpkin stuff. The Council of the Royal Smithfield Club – top farmers and butchers from all over the British Isles, every accent from Devon to Aberdeen via Wales & Norfolk – met here on Thurs. Fifty of them. So the only room I could think of was the nursery, and there they sat good as gold on hard chairs. I offered the rocking horse, but they eschewed it, ditto high chairs and Snakes and Ladders. I really love those men, and it’s my last year as president. I shall miss it and them. . . . . . . Last night I went to AN OPERA. The second in my life. It was a plan of Andrew’s (Duke of Devonshire) in aid of the Putney Hosp for Incurables and good Cake (the Queen Mother) came and turned it into a gala. One forgets between seeing her what a star she is and what incredible and wicked charm she has got. The Swiss conductor panicked and struck up `God Save The Queen’ when she was still walking round the back to get to her box and I heard her say Oh God and she flew the last few steps dropping her old white fox cape and didn’t turn round to see what would happen to it.
. . . . . Ages ago, I went to a party given by Brig. West. Everyone was tightish. Daph(ne Fielding), still Bath, was curled up in a ball next to a chair where Duff C(ooper) was sitting, covered in medals and decorations. Daph was wearing a tiara, as they’d all been to a Court ball. Daph was so rapt in talk and laughter that she didn’t even notice or pause when Henry (Bath), on the point of buzzing off with Virginia, said, `I think I’d better take that,’ neatly uncoiled the bauble from Daph’s hair, and slipped it into the pocket in the tail of his tail coat, and walked away. Daph was amazed a bit later by its absence, until we reassured her. I thought for a moment that it might have been later on the same night when I came and collected you from a ball at the Savoy and took you on to another in Chelsea – whose? – a lovely evening. No more for the moment. into the lives and hearts of their authors. Whether it’s Deborah’s slightly wicked sense of humour or Paddy’s love of and descriptions of travel, there is something for everyone here. A must read for fans of all things Mitford.